Local Inglewood duo Letitia Stevenson and James Donald have taken out the Inaugural Taranaki Ideas Summit with their start-up Yonder. The pair pitched to a panel of judges and a room of over 150 people to take the grand prize of $10,000 in cash. Their Idea Yonder is a next-generation software tool for the tourism industry. Yonder helps businesses in the tourism industry significantly increase conversions of their website traffic into paying customers by personalising and making it really easy for every website visitor to book, 24-7. The judges noted that the idea had significant potential to expand globally from its Taranaki roots. The business already has three beta customers around New Zealand, with a few more on a waiting list. 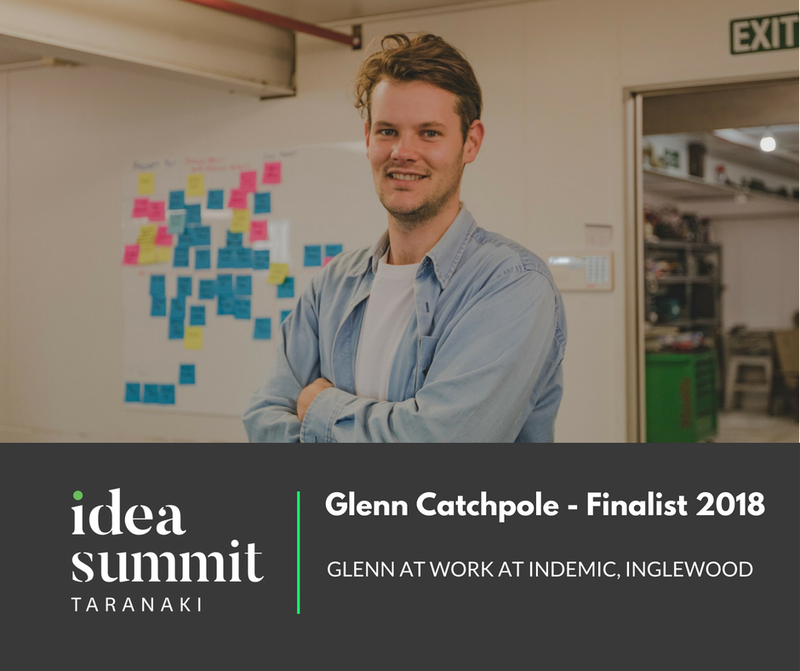 Of 77 Ideas Summit entries from all around the Taranaki region, four teams were selected to undergo a high-intensity series of workshops over three months leading up to the final pitch evening. The workshops helped the teams dig deeper into understanding their business models, challenged validation strategies and identified strengths and weaknesses within their teams so that they could combat them with confidence. By chance, all four teams selected for the Ideas Summit run their startups in Inglewood. As noted by the MC on the night - David Downs, “Inglewood is becoming the innovation centre of Taranaki”. White Peak Creamery, a progressive and innovative plant-based creamery turning the finest natural ingredients into a range of premium plant-based products. Entrepreneurs Chester and Melissa Young brought along samples of their ice cream for the judges who stated that they were of extremely high quality and excited to see them grow in the community. White Peak Creamery received a special award of a $2,000 grant from Massey University’s food technology laboratories. Water Warrior, explained by Founder Paul Oliver, is a product that considerably reduces the pain a farmer experiences as a result of his water system failure. This along with its “Internet of Things” connected network is a stepping stone to a larger product range to help conserve and manage water and water-system failures. Kit-netic the last venture to pitch on the night was by our very own Glenn Catchpole, and his partner Valerie Poort. They have shown a 'drive' to create products that empower children and their families to learn hands-on making skills while having lots of fun. They had one of their products (a kit-set go-kart) on stage that the judges saw a huge opportunity for kids to learn real-world skills away from their devices, they also noted that the concept has great benefits for communities. We are excited to see where these four local businesses will go. Keep an eye out.